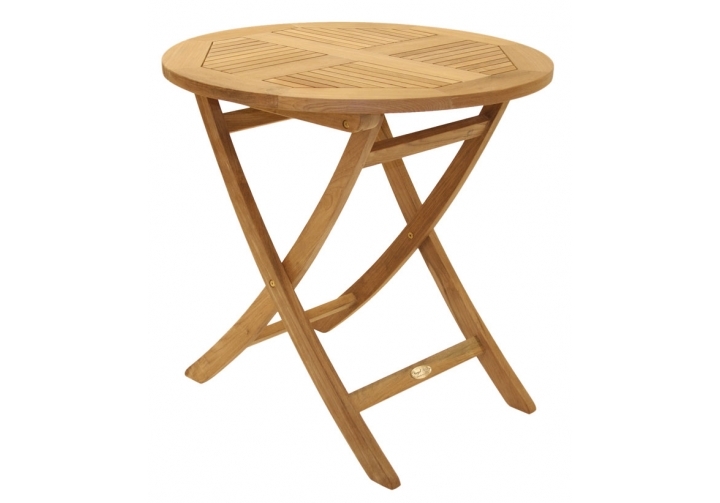 This Round Teak Sailor Table can easily be folded down for quick removal and storage. This 30" diameter folding teak table is also 30" high. This teak table is kiln dried and fully machine made with mortise and tenon joints for a tight fit. It features brass hardware, and the high content of oil in the teak protects it from the outdoor elements. No matter what climate you might live in, you are ensured a lifetime of enjoyment with your teak furniture. There are currently 0 reviews for the 30" Round Folding Teak Sailor Table.